Chris Young is back with a new single. Tomorrow is the first single from Chris’ much anticipated third album release. After ending his last album with three straight number one songs and having it sell around a half million copies, Chris is now a budding country star. I’ve liked Chris Young since he won Nashville Star a few years ago. I remember he had the guts to get up on the stage and sing his original tunes. The only issue was he seemed to be lacking the authentic inspiration for writing. His songs seemed a bit off on the first record and the sales weren’t really there. Once his second record hit though Chris’ talent really came through. He was singing about the issues he was facing as a coming of age twenty-something guy in the modern world. I’m about the same age so I could relate to his songs. Tomorrow fits right in with the mold of Chris’ authentic life. The song is about a couple that knows things aren’t going to work out. They know they’re not meant to be together. For some reason though they need to have one more night together and put off the actual breakup for tomorrow. Artists have written and recorded songs about this emotion before, but I like the way Tomorrow is written and performed. Chris does a great job with the song. He sings the kind of country music I really like – traditional country in the vein of George Strait, Keith Whitley, and Alan Jackson. 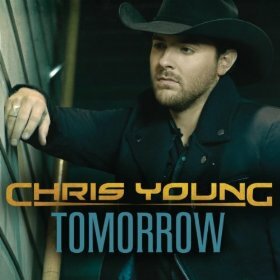 I am so excited about this new song “Tomorrow” I think it will be another #1 song for Chris Young. Contrary to what the writer said about Chris’ early writing I was very impressed with all of them especially “Drinkin’ Me Lonely” I think that if David Foster and Naomi Judd were that impressed with Him that I must not be far off. I am so pleased that people are finally getting to hear what I have been thinking since the first night I saw Him on Nashville Star. Thanks for the great review of “Tomorrow” I can’t wait to hear the CD that will be out this summer. Hi Sharon – I think Tomorrow will go right up to #1 too. What a great song. Take care and Go Chris. This song is amazing! I heard it today and I can’t stop listening to it! It’s going to be a hit for sure! i love it its amazing and like the rest of you this song will most likely make it to the charts. Im eighteen and the story is my life! (well close best friend) and my brother! Awesome song. Story of my life right now….should go to #1 as far as I am concerned. great Song Chris!